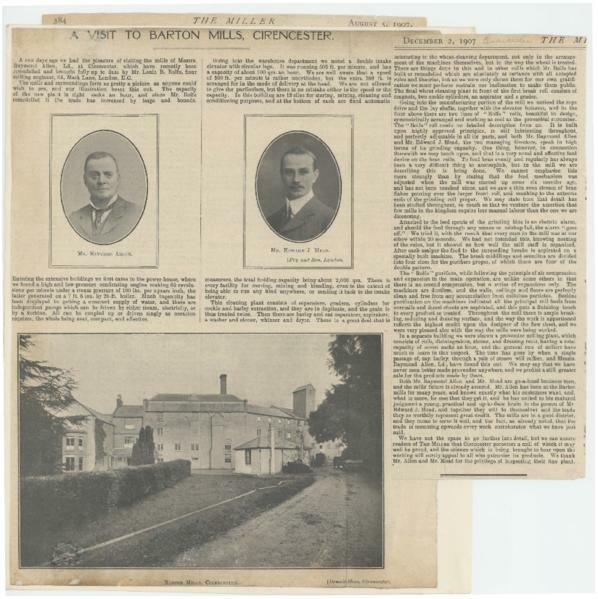 An article which describes a range of new machinery, including rollers, new power generators, and a sophisticated cleaning plant, brought into Barton Mill by Mr Raymond Allen and Mr Edward J Mead. Printed or higher resolution copies of this image can be made available, subject to a charge. Please see www.millsarchive.org/high-resolution-images for details. Alternatively, a higher resolution copy can be viewed for free at the Mills Archive; please email visitors@millsarchive.org to arrange an appointment.